A Frenchman staying in Germany can only wonder at the recycling habits of the locals. In supermarkets, a number of products, such as drinks and certain yoghurts, are all sold in recyclable packaging with a returnable deposit. We therefore have to consider the price of the deposit on the packaging during purchase (variable relative to the type of packaging) and organise the logistics appropriately to return the packaging and recoup the deposit. The impressive deposit return machines in supermarkets are almost a tourist attraction for the French. Similarly, a Frenchman will be surprised to see how his German neighbour sorts glass according to colour : green, brown or clear. But even though the daily approach to recycling is markedly different, France and Germany are cooperating and working closely on a number of subjects within the field of green economy, as the quantity and variety of Franco-German actors only goes to show. Moreover, the special relationship between France and Germany provides a perfect setting for activities common to both countries. Here is a little overview. The two countries are clearly important business partners, as shown by foreign trade figures. The German Federal Statistical Bureau (Statistisches Bundesamt) recorded that French imports from Germany rose to a value of €105.2bn in 2017, while French exports to Germany also rose to €64.1bn in the same year. On top of this, more and more French and German companies are opening up offices in each other’s country. According to the National Institute for Statistics and Economic Studies in France (INSEE), French companies account for more than 2,700 facilities in Germany, employing more than 360,000 people. German companies in France account for 4,500 facilities and more than 310,000 jobs, according to the German Foreign Chamber of Commerce in Paris (AHK-Paris). Peter Buerstedde, Director of Markets and Analysis for France (at Germany Trade & Invest Paris), reckons that should this favourable economic relationship continue it will create a healthy environment for investment in both countries. Both have taken concrete measures to stimulate development and innovation, with particular benefit for SMEs. Of particular relevance is the PACTE (Action Plan for Growth and Business Transformation) Act put into place by the French government to support SMEs in France. Meanwhile, in order to maintain the vitality of German SMEs in the face of future challenges, the German Federal Ministry of Economics and Energy (BMWi) creates incentives for SMEs on several levels, such as the Zukunft Mittelstand (Future SME) program. In the Circular Economy Package, the EU has decided that a 65% municipal waste recycling rate should be in place by 2035. For packaging waste, a recycling rate of 70% is set for 2030. It should be emphasized that, in general, the reuse and recovery of materials is the priority. But for France, these rates are not enough. 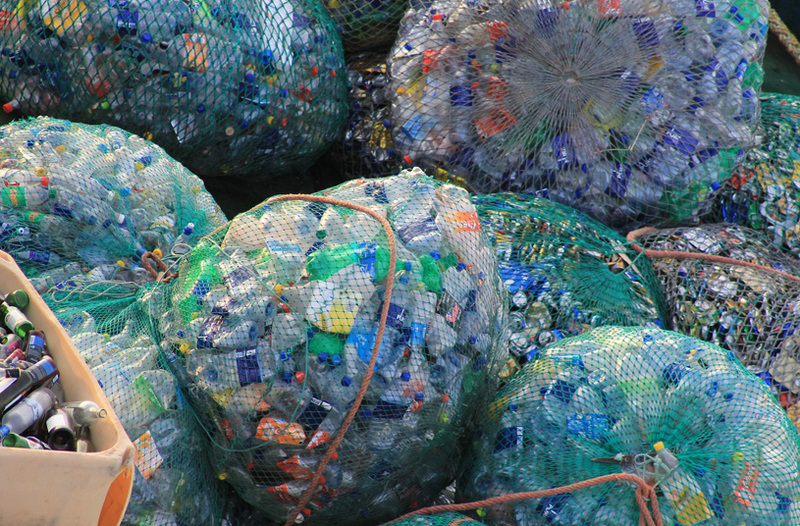 The roadmap for the French circular economy is aiming for a 100% plastic waste recycling rate by 2025. In Germany, according to the German Federal Environmental Agency (UBA), plastic waste is almost entirely recycled, but in the form of energy. The material recycling reaches only 1%, however, one of the challenges ahead which could provide new business opportunities for French and German SMEs especially. Historically, energy has been one of the fields in which Germany and France have worked especially well together. 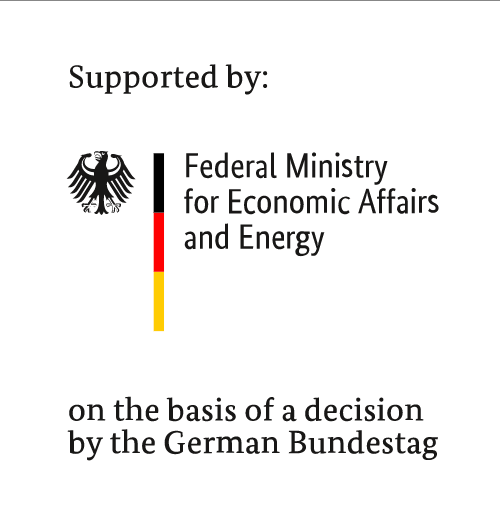 The Franco-German declaration on energy of July 12, 2018 names two essential players within this ‘tight and durable’ cooperation : The Franco-German agency for energy transition, as well as the respective national energy agencies (ADEME in France and DENA in Germany). The Franco-German agency for energy transition (OFATE) was created in 2006 in the form of an office for the coordination of wind energy, but has since developed to become an agency addressing all the challenges of the energy transition. By providing information on both markets and networking the various energy transition stakeholders, OFATE promotes cooperation and exchange of good practice between the two countries. Set up in 2016, the Franco-German energy platform is another example of cooperation between the energy agencies of the two countries. ADEME and DENA are developing concrete cooperation projects within the framework of this platform, such as the “Smart Border Initiative” project for cross-border energy cooperation. This project aims to set up a multi-energy network in the border regions of Eastern France and Saarland and is set to be implemented from 2017 to 2021. Then there is the TANDEM project, a Franco-German cooperation for local energy transition. This project is led by Energy Cities and Klima Bündnis (Climate Alliance) in collaboration with KEA, the energy and environment agency of Baden-Württemberg. TANDEM is supported by the French Environment and Energy Management Agency (ADEME) and the Umweltbundesamt (UBA), the German Federal Environmental Agency. There are also a number of research and development cooperations in the fields of energy, climate protection and the environment. According to the OECD, France invested US$55.8bn of domestic spending on R & D in 2016, while just over US$104bn was invested in Germany. Here are a few examples of notable initiatives and projects. In Germany, the “Carbon2Chem” project develops solutions for transforming blast furnace gases into basic products for fuels, plastics or fertilizers. The Fritz Haber Institute of the Max-Planck Society in Berlin is participating in this project, based on the research groups of Professor Roldan Cuenya and Professor Schlögl. A project on carbon capture complementary to “Carbon2Chem” was presented at a Franco-German conference on hydrogen held on October 22, 2018 by the French Ministry of Higher Education, Research and Innovation (MESRI) and the German Federal Ministry of Education and Research (BMBF). The two countries are also working on implementation of the Paris Climate Agreement and are setting a good example with a joint fellowship program to promote research on climate, energy and land systems. As part of France’s “Make our Planet Great Again” initiative, Germany and France have invited scientists from around the world to collaborate with their German and French partners to promote research in the fields already mentioned above. Germany Trade & Invest, economic development agency of the federal republic of Germany, assists foreign companies in their investment and relocation to Germany, promotes Germany as an economic location and assists German companies in the development of their activities abroad. At Pollutec, Germany Trade & Invest will highlight business opportunities in the environmental technology sector in Germany. There will also be workshops under the banner of Franco-German cooperation, as a result of a partnership with Business France. During these workshops, GTAI and Business France will be showcasing the opportunities in the water and recycling markets in Germany. The challenges involved in gaining a foothold in the German market will be discussed as well as potential solutions to them. French companies will also recount their experiences in the German market. Germany Trade & Invest’s services for assisting with an investment will also be presented, notably by Udo Sellhast who will go over the process of opening a subsidiary in Germany. Should you have any questions about the environmental technologies industry in Germany, please do not hesitate to contact us or come to meet us in person at Pollutec, perhaps during one of our Franco-German breakfasts on 28 and 29 November at 10am at the booth. GTAI is located at stand number 4-G123. Not Heavy. Not Metal. An Algorithm for Jetlag?